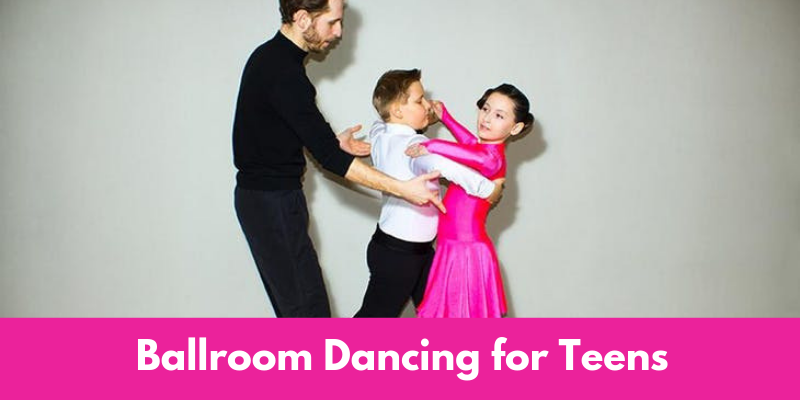 The newest sensation is ballroom dancing for teens and kids. This boom in popularity is due in part to hit TV shows like “Dancing with the Stars,” “Little Big Shots,” and “World of Dance.” It seems our current generation of kids dream about stardom. When they watch other kids like themselves featured on TV, doing ballroom dancing in their shiny rhinestone costumes, they think, “I can do that too!” Well, guess what? They are absolutely right, they CAN do that…and we can teach them! Let them experience first-hand the joys of connecting with their partner and the music. Ballroom dancing is a safe and healthy way for teens to spend their time after school. It keeps them focused on teamwork and discipline. It’s great exercise, especially when contrasted with sitting on the couch, playing video games, being online, or watching TV. Plus, learning ballroom dancing will fill your teens with confidence for their school dances and proms. Ballroom classes focus on footwork, posture, timing, connection, technique, and performance. In our modern, high-tech world, with teens glued to screens, social interaction and communication skills are in decline. Ballroom dancing is a wonderful and positive way to reverse that awful trend. Instead of being couch potatoes, your kids will be moving, spinning, stepping, twisting, gliding, dipping, and turning. They will be learning grace, gaining confidence, and expressing themselves creatively. Dancing with a partner involves learning additional skills outside of what they get in their solo dance classes like ballet and hip-hop. Partner dancing really forces communication with the partner, both physically and verbally. This teamwork and interdependence is an important life-skill to be gained. Although having a partner is ultimately the goal for ballroom dancers, no partner is required to take classes. First, your teen needs to learn their individual part and then we will partner them with another student or instructor. Some of the ballroom and partner dance styles we teach include Latin, Rhythm, Smooth, International Standard, Salsa, Country Western, Swing, and Tango. Take your child’s individual personality and preferences into account when choosing which style to start with. Although, no prior dance experience is necessary, any skills they may have acquired from their ballet and jazz classes (like spotting, turns, posture, turnout) will give them an edge in quickly picking up ballroom dancing. Eventually you will want to invest in special ballroom dance shoes for your kids. Teens will typically wear higher heels. For females, 2.5-inch or 3-inch heels are appropriate. For male teens, a 1-inch or 1.5-inch heel is standard. Check out our previous blog on different types of dance shoes. For your preteens, it is best to stick with half-inch heels. Typically, strappy sandal type heels worn with socks are best for young girls, while young boys usually wear closed-toed, short-heeled shoes with laces. Jazz shoes are fine in the beginning until kids are ready for heels. Balance is challenged in a whole new way once high heels are introduced. Just about every adult who takes ballroom dancing lessons remarks, “I wish I had started this sooner!” So, don’t wait…give your kids that head-start everyone craves. And keep in mind…you as a parent can learn to dance right along with your children!